KAI Aso, located in the Aso-Kuju National Park, 2 hours from Fukuoka Airport, was rated as one of the most exemplary ryokans of the fourth pavilion level, “Top class comfort”, in Nihon Michelin Tire Co., Ltd’s “MICHELIN GUIDE Kumamoto-Oita 2018”. This will be the 2nd KAI property named to the Michelin Guide after KAI Kaga in the version of Toyama-Kanazawa 2016. 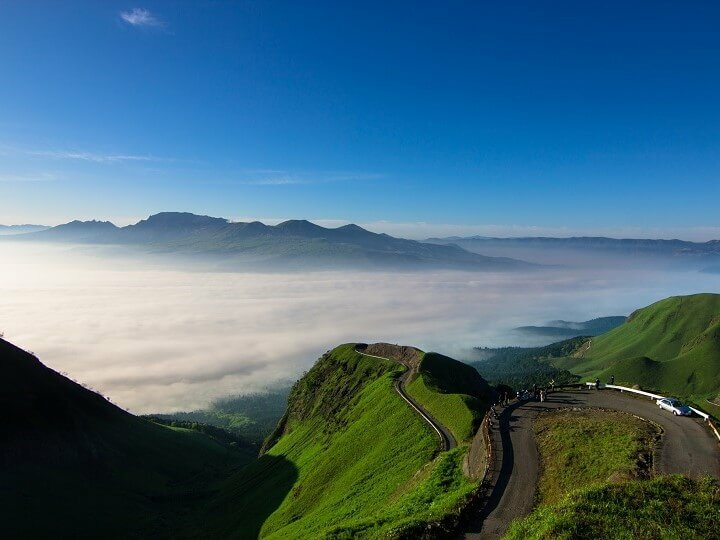 The concept of KAI Aso is where one can “immerse yourself in the natural environs born from a caldera” because the location, Aso-Kuju National Park is home to Mt. Aso (Aso Caldera), one of the world’s largest volcanoes, as well as Kyushu’s highest peak Nakadake, part of the Kuju Volcanic Group. The Aso caldera is one of the largest in the world and is highly unusual in that people live inside it, farming the land, and even roads and train tracks exist. All 12 rooms are separate villas that each include an outdoor hot spring bath. 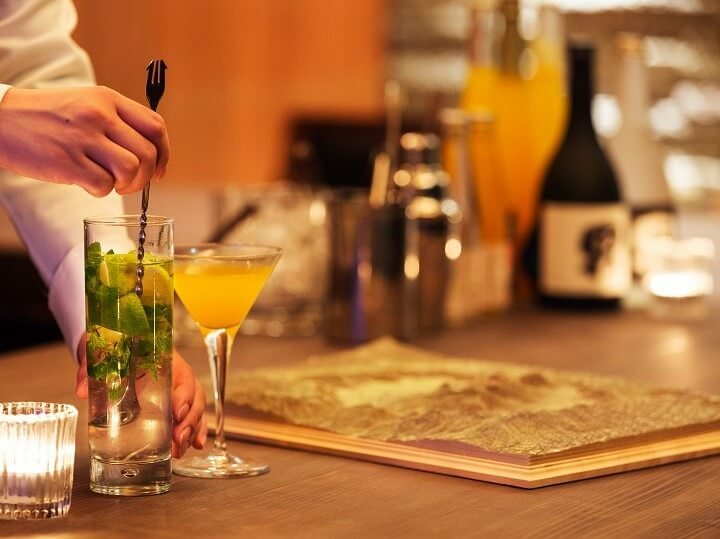 Also, at the “Caldera BAR,” guests can have a hands-on experience as they model their own caldera, recreating the formation of these impressive landmarks while appreciating the beauty of the Aso Caldera. For dinner, enjoy sliced Wagyu beef flambeed in shochu on an Aso lava plate. This delicacy is served with chili vinegar mustard greens and a special sauce made with miso-pickled tofu, or “yama-uni tofu,” an Aso specialty. *The MICHELIN GUIDE Kumamoto-Oita 2018 carefully selects restaurants and hotels in the Kumamoto and Oita prefectures and rates them in a unique way. Restaurants are rated from one to three stars, and hotels or ryokans are rated according to the five levels of pavilions based on comfortability. 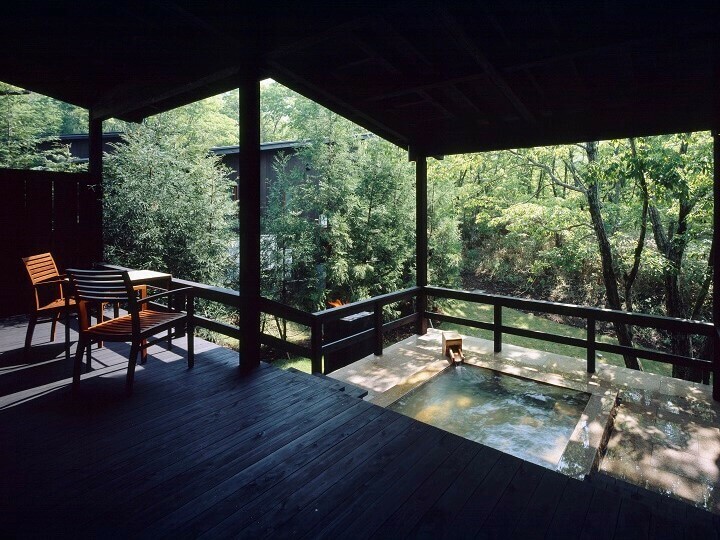 KAI Aso is rated as one of the most exemplary ryokans of the fourth pavilion level, “Top class comfort”. Full press release can be downloaded above. 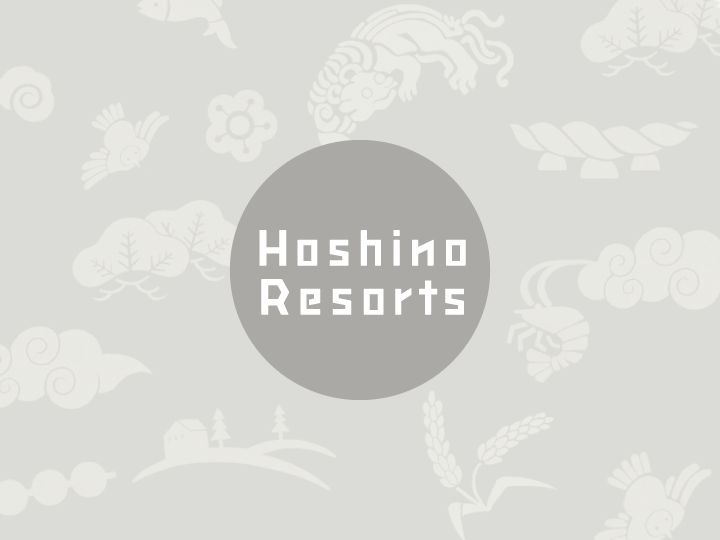 © Hoshino Resorts Inc. All Rights Reserved.